Queen Aishwarya, along with her husband King Birendra, remains one of the most well-known and loved personalities in the history of the Nepal Royal Family. Even after more than 16 years post her demise in the royal massacre at the Narayanhity Palace, Nepal’s Queen Aishwarya is still revered and remembered by most Nepalese as a woman of classical beauty and strong character. During the pre-1990 era of absolute monarchy, she was widely considered to be the real power center behind the throne. Aishwarya Rajya Laxmi Devi Shah was the eldest daughter of Kendra Shumshere Jung Bahadur Rana, a Lieutenant General in the Nepalese army, from the Rana dynasty that ruled Nepal for over a century until the 1950 people’s revolution. Born on November 7, 1949, Aishwarya had her early schooling in India before graduating in Arts from the Tribhuvan University, Kathmandu. 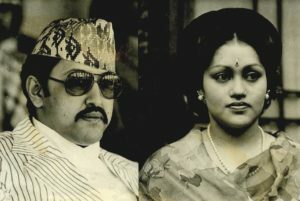 Crown Prince of Nepal, Birendra Bir Bikram Shah Dev and Aishwarya were married in 1970. Their nuptial ceremonies were conducted on a grand scale incurring an overall expenditure of almost USD 10 million. Aishwarya’s two younger sisters, Komal (Nepal’s last queen) and Prekshya were also married into the Shah dynasty. 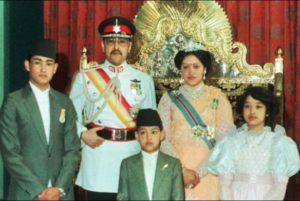 After the death of King Mahendra in 1972, Birendra has crowned the King of Nepal while Aishwarya became the Queen consort. 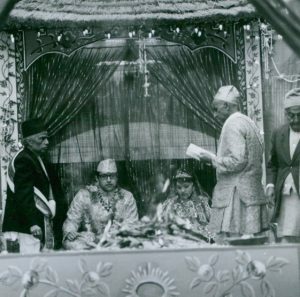 Their coronation amidst a resplendent ceremony in the courtyard of the Hanuman Dhoka Palace was witnessed by a huge gathering, which included Royals, Presidents, Ambassadors, government representatives and other dignitaries from across the world. 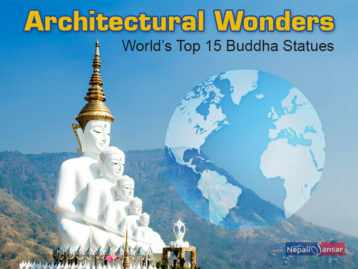 King Birendra was considered to be the living incarnation of Lord Vishnu by Nepalis. King Birendra and Queen Aishwarya were an ideal couple though they had slightly contrasting personalities. While her husband was soft-spoken and genteel, Queen Aishwarya was known to be energetic and outspoken. She was fondly referred to as ‘Bada Maharani’ by the people of Nepal. The popularity of the royal couple among the Nepali populace increased leaps and bounds with the passage of time. They were blessed with three children, King Dipendra, Princess Shruti and Prince Nirajan, who all lost their lives in the infamous royal massacre of 2001. Queen Aishwarya was a lady of elegance and grace, with her style of dressing and hairstyles still being popular among today’s Nepali women. She was a connoisseur of fine arts and popular for her anthology of poems published using the pen-name Chandani Shah. She also composed numerous songs that were regularly aired by Radio Nepal and telecast on Nepal Television. Queen Aishwarya was felicitated with a large number of titles and honors both in Nepal and several other countries. Her national orders include Sovereign of the Order of Nepal Pratap Bhaskara, Sovereign of the Order of Nepal Taradisha, Sovereign of the Order of Ojaswi Rajanya, Sovereign of the Order of Gorkha Dakshina Bahu, Sovereign of the Order of Tri Shakti Patta and King Mahendra Investiture Medal, among many others. Queen Aishwarya’s international recognition include Denmark’s Dame Grand Cross of the Order of the Dannebrog, Japan’s Paulownia Dame Grand Cordon of the Order of the Chrysanthemum, Finland’s Grand Cross of the Order of the White Rose, France’s Grand Cross of the Order of National Merit, Germany’s Grand Cross of the Order of Merit, Egypt’s Grand Cross of the Order of the Virtues, Spain’s Dame Grand Cross of the Order of Isabella the Catholic, Thailand’s Dame Grand Cordon of the Order of Chula Chom Klao, Yugoslavia’s Grand Cross Great Star of the Order of the Yugoslav Star and Pakistan’s highest civilian award Nishan-e-Pakistan. 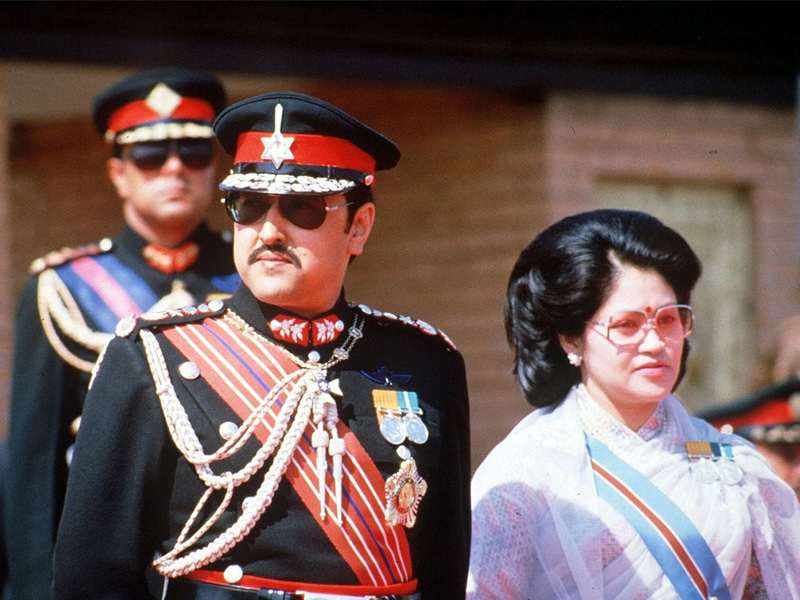 After the pro-democracy movement in 1990, King Birendra and Queen Aishwarya agreed to the preparation of a new constitution that paved the way for a multiparty democracy in Nepal. They continued their reign as constitutional monarchs until their demise. Monarchy was subsequently abolished in 2008. 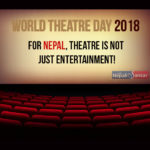 The darkest day of the Nepalese royal history occurred on June 1, 2001, which shocked the entire world and left all the Nepali people traumatized. In a fit of rage reportedly caused by Queen Aishwarya’s strong opposition to his proposed marriage with Devyani Rana, Crown Prince Dipendra killed his parents, siblings and seven other members of the royal family before turning the gun on himself. Dipendra was officially proclaimed as the next king, though he was in a state of coma before succumbing to his wounds after three days. However, doubts still persist among many Nepalese with regard to the actual mastermind behind the royal massacre. Some people attribute it to a conspiracy by anti-national forces, though nothing has ever been proved.